In 2015 Lux Capital led the initial financing round at AirMap and I joined their Board of Directors. 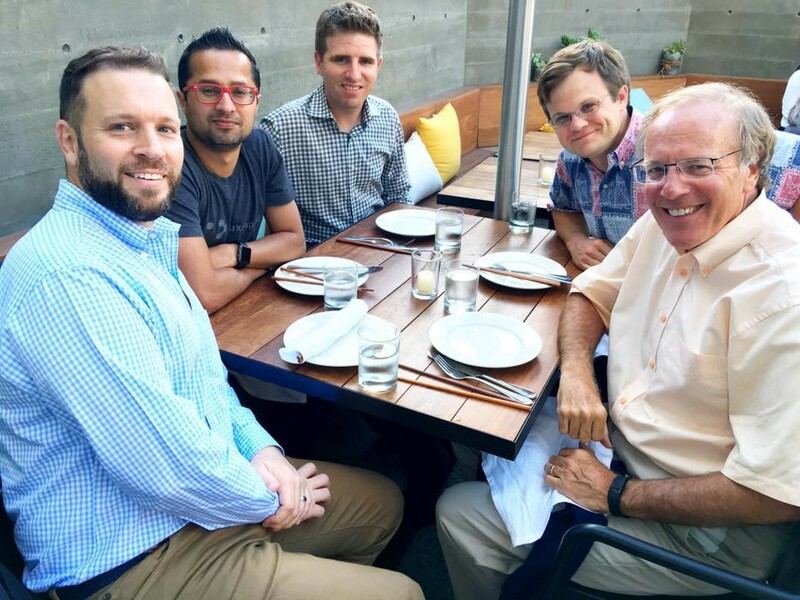 It has been an incredible experience working with Ben and Greg since then, and today the company they co-founded grew a little taller and a little stronger with partners like Microsoft, Airbus, Qualcomm, Sony, Yuneec and Rakuten, all of whom just invested in its $26M Series B. They join existing investors General Catalyst, Social Capital, TenOneTen, BullPen, Wonder Capital, and Haystack. 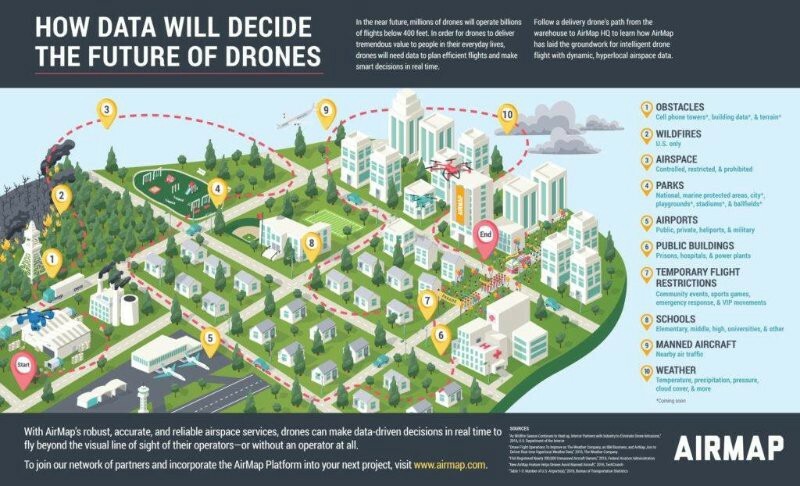 AirMap is the leading air space management platform for the world — it is expected that drones will power $127B+ of commerce via consumer, commercial and industrial use cases. AirMap is already powering millions of drones around the country (and abroad), and hundreds of drone manufacturers and developers rely on the platform to access the data they need to fly safely as well as provide features consumers may want. AirMap’s partners include leading drone companies like DJI, Intel, senseFly, Aeryon Labs, and our own portfolio companies CyPhy Works and Hangar. In addition, more than 125 airports already use AirMap’s airspace management dashboard to open surrounding airspace to drones, view past and current drone flights, accept digital flight notices, and communicate with drone operators. The AirMap platform also provides solutions for geofencing, remote identification of drones, and sophisticated in-flight deconfliction. One may not realize, but millions of drone flights already take place in the US every month. That number is only expected to grow over the coming years. We will have drones doing surveys, inspecting construction sites, monitoring hazardous work environments, directing traffic in congested places, helping police in operations, acting as temporary communication towers, and yes, doing deliveries. Drones (and flying cars) will operate as a network of IoT devices that happen to be mobile, autonomous, and capable of collecting data + insights that could power unparalleled productivity. AirMap stands to benefit as the organizer and router of data that will be needed to enable such a future. Last year, AirMap launched the AirMap developer platform, which opens the company’s library of APIs and SDKs to industry manufacturers and app developers, and the Digital Notice and Awareness System, an airspace management dashboard used by more than 125 airports. AirMap also significantly expanded its data for situational awareness, flight planning, and geofencing, adding real-time manned traffic alerts, live wildfire information, microscale weather, and more. AirMap has global ambitions, and with this funding you can start to see how it might roll out. 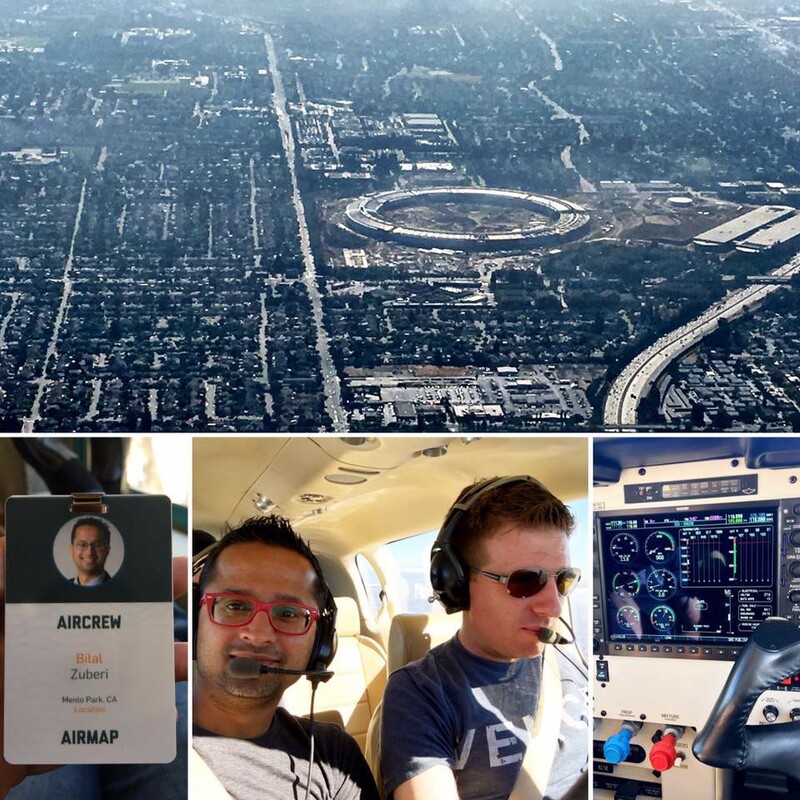 AirMap has opened offices in Berlin, Germany and at the NASA Ames Research Center in Mountain View, California, in addition to its headquarters in Santa Monica, CA. UTM is the regulatory and technological framework that will facilitate data exchange and air traffic control for drones and others flying in low-altitude airspace. And AirMap already participates in UTM project activities like the NASA-FAA Research Transition Team (RTT), and is already implementing technology solutions for UTM. I am proud of what the AirMap team has accomplished so far, and their eyes are set on even bigger successes in the future. Every single person on the team is working their butts off to make drones become a part of our every day lives in a safe, efficient manner. Recently Daniel Rubio joined the team as CTO, and former NATS CEO Richard Deakin as Chairman of EMEA. Last year, AirMap launched the AirMap developer platform, which opens the company’s library of APIs and SDKs to industry manufacturers and app developers, and the Digital Notice and Awareness System, an airspace management dashboard used by more than 125 airports.